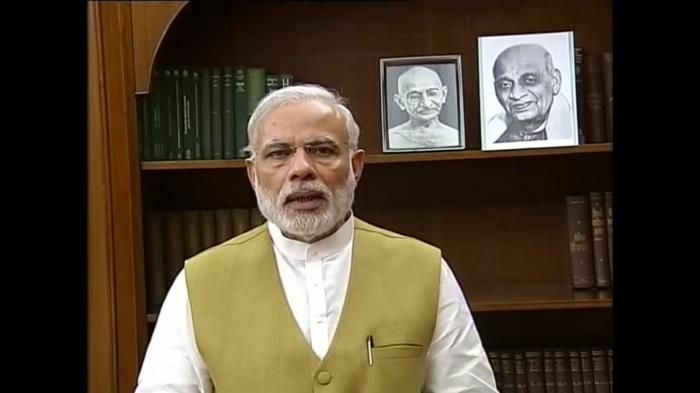 In a video message, Prime Minister Narendra Modi has appealed for peace and calm in Gujarat, a day after sporadic violence was reported across several parts of the state. Curfew had to be imposed in districts like Surat and Mehsana after Hardik Patel, the 21-year-old leader of Patidar Anamat Andolan Samiti (PAAS) was briefly detained by police on 25 August night. Prime Minister in the video has urged the people to maintain peace. "Violence will not benefit anyone. The only way forward is to have a peaceful dialogue," he said. He also added that the government would initiate efforts to find a solution to the crisis currently raging in his home state of Gujarat. Hardik and his supporters have been demanding reservations in jobs and education for the Patidaar community. Hardik had also addressed a major rally in Ahmedabad where he warned the BJP of consequences in the 2017 polls if reservation was not announced for the Patidaar community.